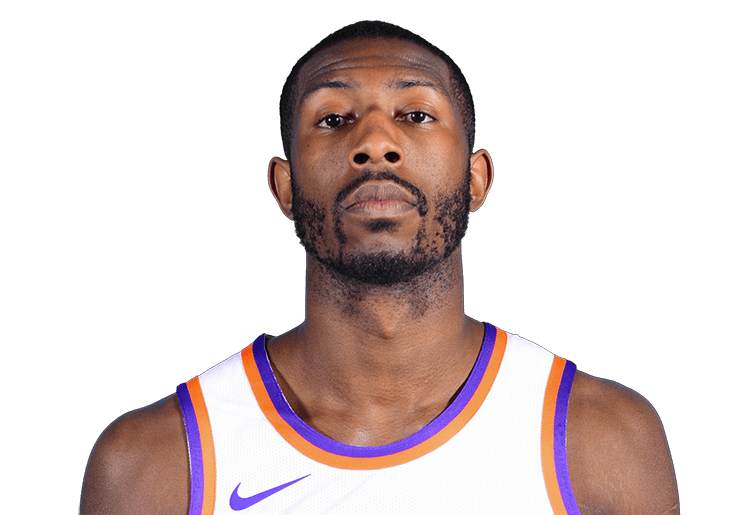 With the NBA G League winding down, both Angel Delgado of the Clippers and Jaron Blossomgame of the Cavaliers are stringing together impressive double-double streaks. NBA teams may have up to two players under NBA Two-Way Contracts who will spend the bulk of the season in the NBA G League and no more than 45 days with their NBA team. Two-Way players are paid a corresponding daily amount based on the number of days they play in each league. Only players with four or fewer years of NBA service are able to sign Two-Way Contracts, which can be for either one or two seasons. 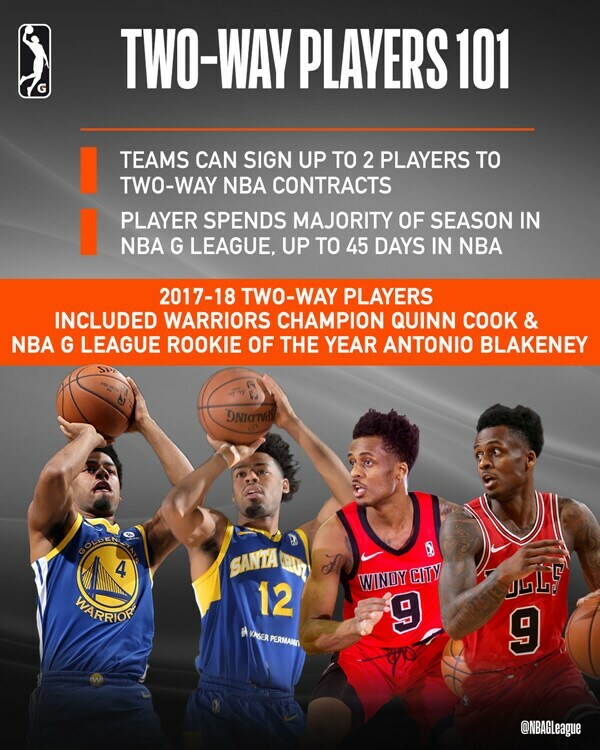 NBAGLeague.com’s Two-Way Tracker will bring you all you need to know about the league’s top prospects throughout the 2018-19 season. 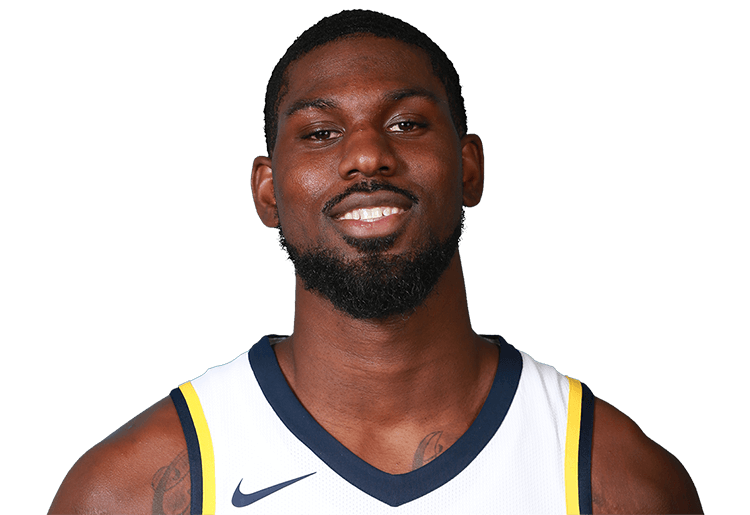 Poythress arrives in Erie with NBA experience, fresh off splitting time with the Indiana Pacers and Fort Wayne Mad Ants last season. He appeared in 25 NBA games and averaged 20 points per game while with the Mad Ants. As a physical and athletic big man, he has proven himself to be a strong finisher inside. 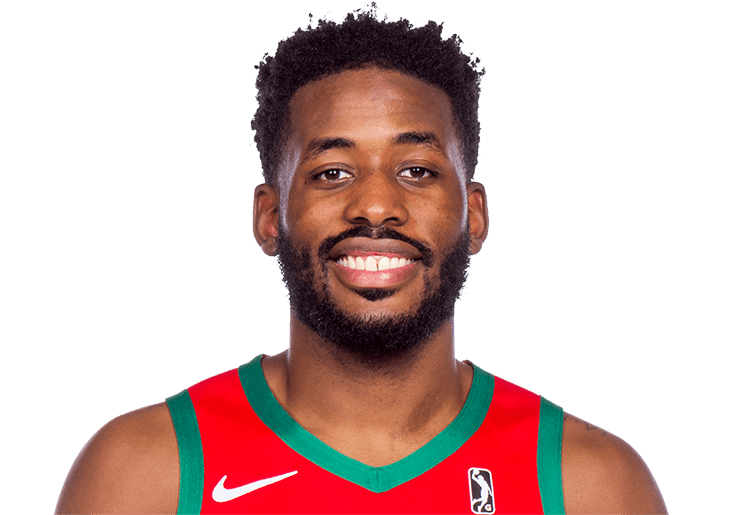 Returning for his second NBA G League season, Dozier will play for the Maine Red Claws after spending last season with the OKC Blue. Dozier helped anchor a fast-paced defense last season, capably defending both guard positions and averaging 1.4 steals through 43 games. The Georgia State product rejoins the Boston Celtics after being initially selected 28th overall in the 2015 NBA Draft by the team. He was a two-time Sun Belt Player of the Year in 2014 and 2015. Earlier this season, he scored 46 points in a game for the BayHawks. 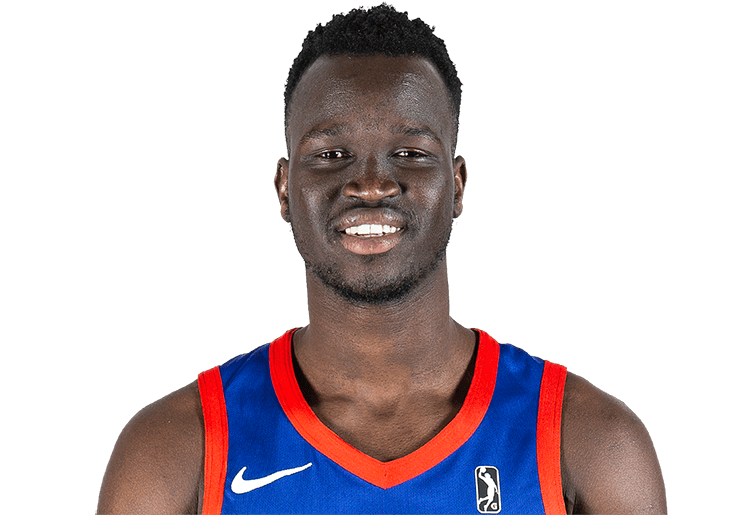 The Long Island Nets are gaining an efficient rebounder in Williams, who owns NBA career averages of 6.4 points and 5.7 rebounds in 13.6 minutes per game. The former UC Santa Barbara star is known for using his physicality to gain an advantage on both ends and should be an asset as the anchor for Long Island’s frontline. 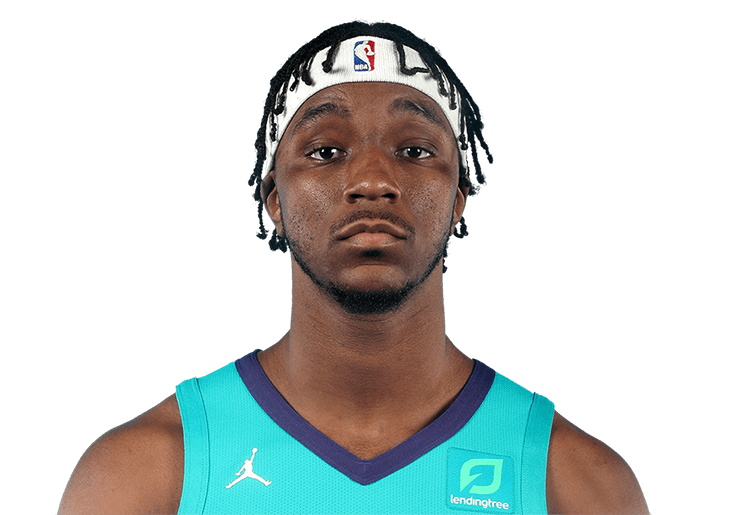 Pinson is an NCAA national champion who emerged as the first ever Tar Heel to average at least 10 points, 5 rebounds, and 5 assists during the 2017-18 season. 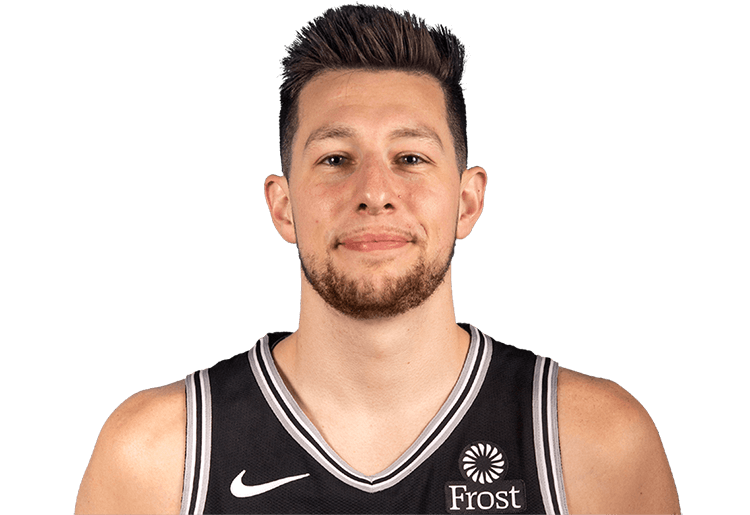 The Nets should benefit from his versality because he keeps an eye out for his teammates while exploring opportunities to score inside himself. Macura joins Greensboro following a four-year collegiate career at Xavier. A staple on the school’s all-time leaderboard, the guard finished ninth in steals, tenth in steals, and 19th in scoring. He comes to the Swarm as a player well known for his hustle and hard work ethic. Chealey enters his first professional season following a strong collegiate career, including two consecutive years earning both All-Colonial Atlantic Association First Team and All-Tournament honors. As a senior, he averaged 18 points, 4.7 rebounds and 3.6 assists. 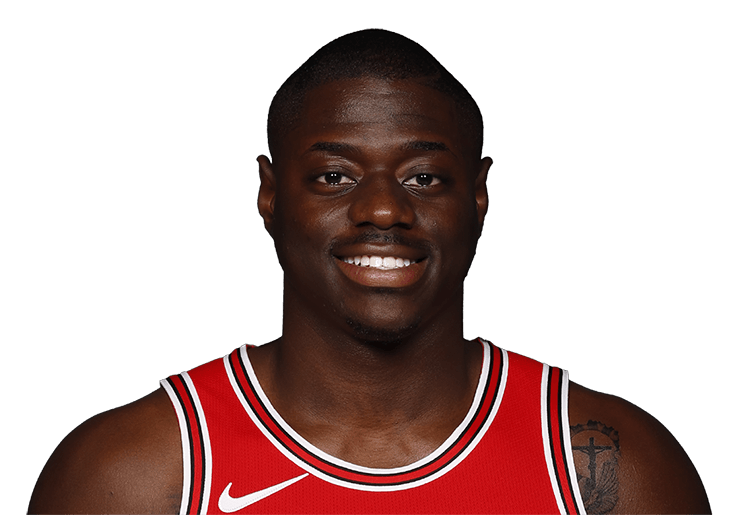 Alkins comes to the Windy City Bulls as the former collegiate teammate of Chicago Bulls star Lauri Markkanen. Known for his defensive skills against both opposing shooting guards and small forwards, Alkins averaged 1.3 steals as a sophomore last season before turning his attention to the professional level. An athletic finisher around the rim, Sampson comes from LSU, where he averaged 7.9 points on 44% ffrom the field through three collegiate seasons. 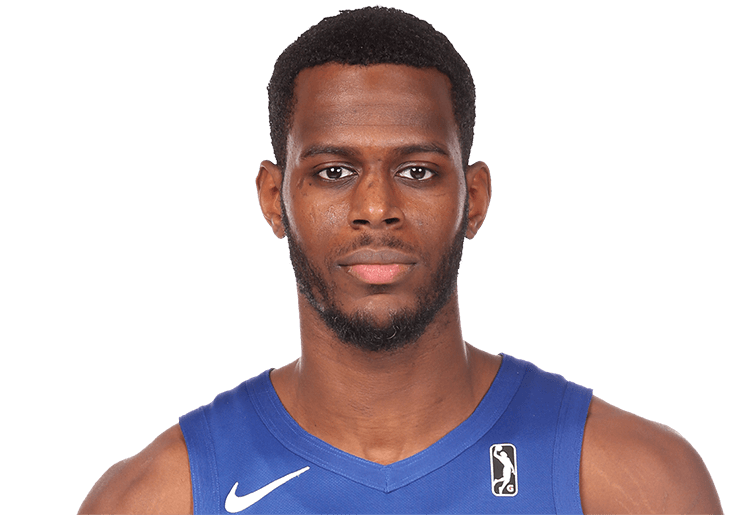 Undrafted out of Clemson, Blossomgame averaged 17.3 points, 7.8 rebounds, and 1.1 blocks through 61 games with the Austin Spurs and Canton Charge before signing a Two-Way Contract with the Cleveland Cavaliers. The Louisville product battled an injury during his freshman season, before coming back and leading the Cardinals for three seasons. After averaging 15 points and 5.2 rebounds per game with Louisville his junior year, Adel declared for the 2018 NBA Draft. After being undrafted, he was picked up by Raptors 905, averaging 13 points and 5.4 boards in 25 games. On Jan. 15, he earned a Gatorade Call-Up to the Cleveland Cavaliers. Hailing from a successful basketball family, Antetokounmpo will look to follow in the footsteps of his brothers NBA All-Star Giannis and G League All-Defensive Second Team (2015) member Thanasis. 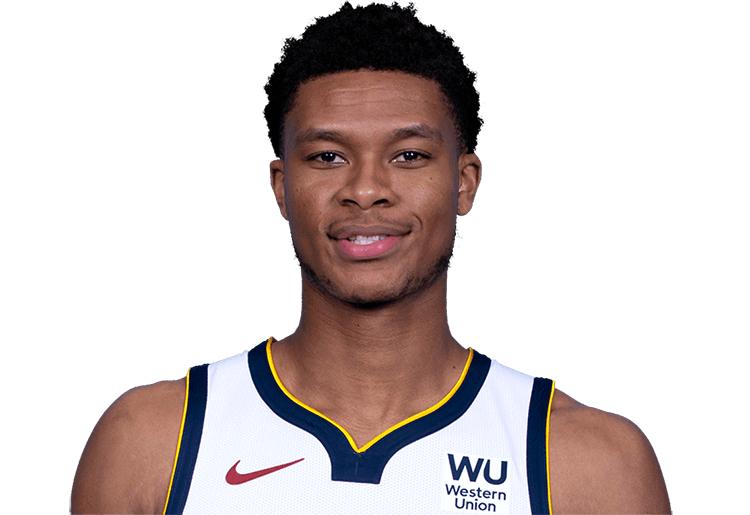 The younger Antetokounmpo has great length and athleticism on the defensive end, as evidenced by his 1.1 blocks per game as a freshman at Dayton. Macon comes to Texas with the ability to make it rain after leading the SEC in 3-point shooting at 44% during the 2017-18 season. 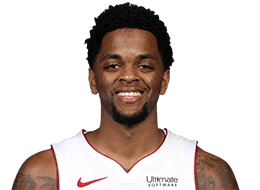 The guard also averaged 16.8 points and 3.9 assists as a senior Arkansas Razorback and now looks to bring high octane offensive skills to the Texas Legends. 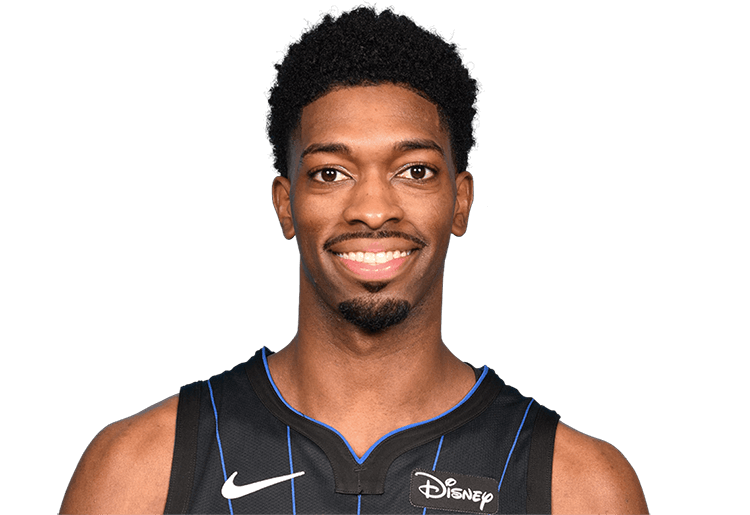 Goodwin played college basketball at UCF and Florida Gulf Coast, being named the 2018 Atlantic Sun Conference Player of the Year with FGCU. 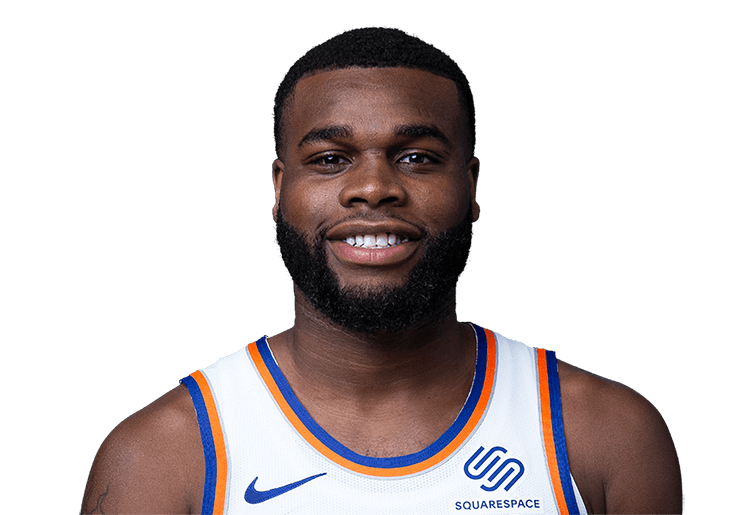 As a rookie, Goodwin earned an NBA Call-Up to the Denver Nuggets on a Two-Way Contract, after averaging 23.4 points per game in 10 games with the Memphis Hustle. During his latter three years at UCLA, Welsh served as a consistent double-double threat. He continued to build on this success and took the next step in his development, also shooting 40% from three-point year as a senior. The former Bruin is a seven-footer with a unique skillset and will surely be an asset as a two-way player for the Denver Nuggets. 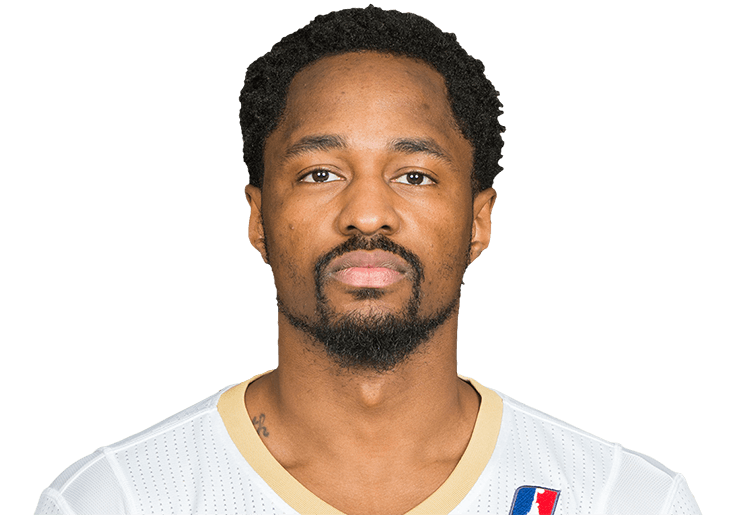 Kalin Lucas is a Two-Way Player with the Detroit Pistons/Grand Rapids Drive who played college basketball at Michigan State. Lucas was the 2009 Big Ten Player of the Year and was named to the 1st Team All-Big Ten in 2009 and 2010. 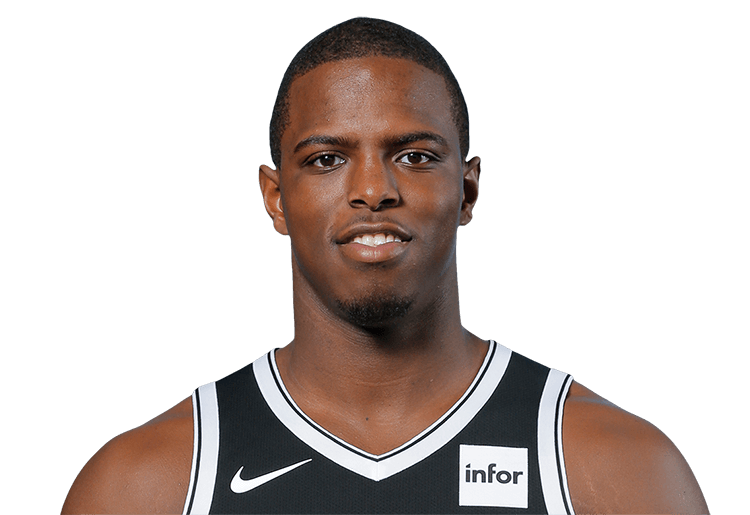 Isaiah Whitehead is a Two-Way Player with the Detroit Pistons/Grand Rapids Drive who played college basketball at Seton Hall. He was named to the AP Honorable Mention All-American team and First-Team All-Big East in 2016. Lee returns to Santa Cruz Warriors for his second season, this time on a two-way contract. 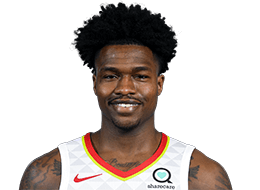 After starting last campaign with Santa Cruz, Lee was called up to the Atlanta Hawks and made the most of his time at the NBA level. The former Louisville Cardinal averaged 10.7 points, 4.7 rebounds, and 1.3 steals through fifteen games with Atlanta. Derrickson should be a perfect fit in Santa Cruz after serving as Georgetown’s leading 3-point shooter at 47% last season. In addition to his smooth shooting stroke, Derrickson is a physical force who averaged 15.9 points and 8.1 rebounds per game, good for Second Team All-Big East honors in 2017-18. After averaging 11.9 points and shooting 39% from downtown as a four-year collegiate athlete at Purdue, Edwards showed the potential to be a key cog in a run-and-gun offense. That could bode well for him as he looks to make his mark for the Vipers. 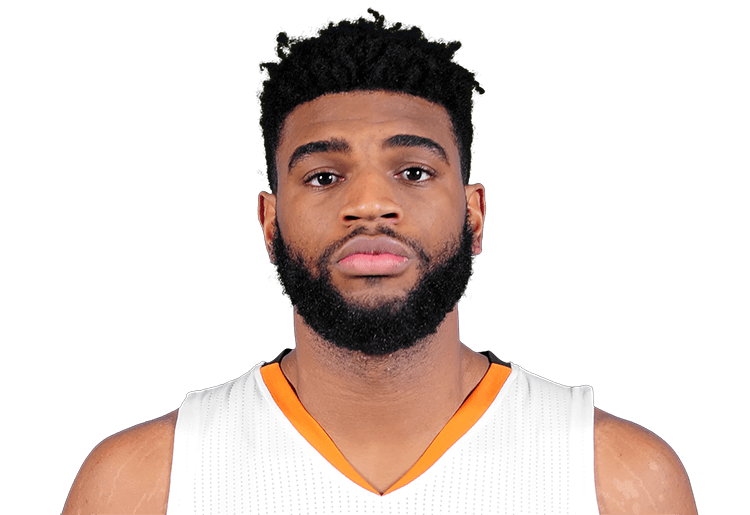 Reed heads to Fort Wayne after spending his rookie season with the Phoenix Suns. Before embarking on his professional career, Reed impressed with the Miami Hurricanes. He averaged 14.9 points per game as a senior and demonstrated an ability to pick his spots and shoot efficiently from all around the perimeter. After an injury gave way to a late start to his rookie season, Reed will look to start fresh in the G League. During his four year collegiate career at Seton Hall, Delgado garnered a reputation as a consistent double-double threat. It took him little time to carry over his rebounding prowess at the pro level, averaging 6.2 rebounds per game in 16.4 minutes of action per game through five NBA Summer League contests. He will now look to continue developing additional aspects of his game with the Agua Caliente Clippers. 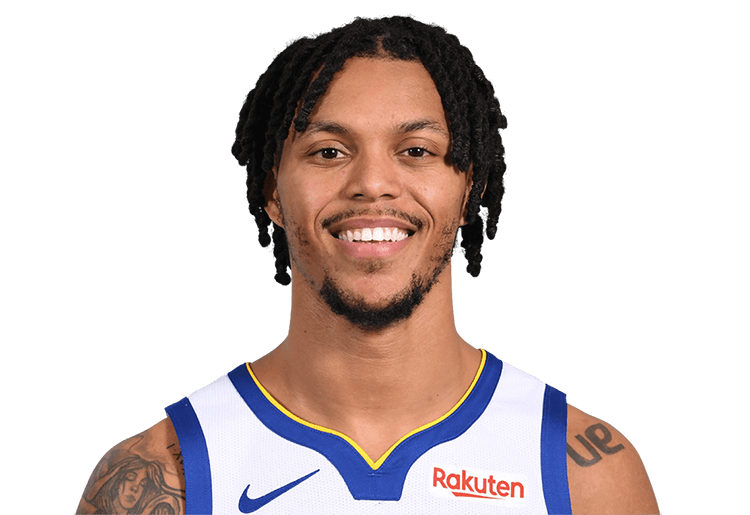 As a two-way player for the Dallas Mavericks last season, Motley established himself as a 20P/10R threat before going on to experience NBA success with Dallas later on in the campaign. He averaged 8.7 points and 4.5 rebounds in 11 contests. As a senior at Baylor the year before, the big man logged 17.3 points and 9.9 rebounds. 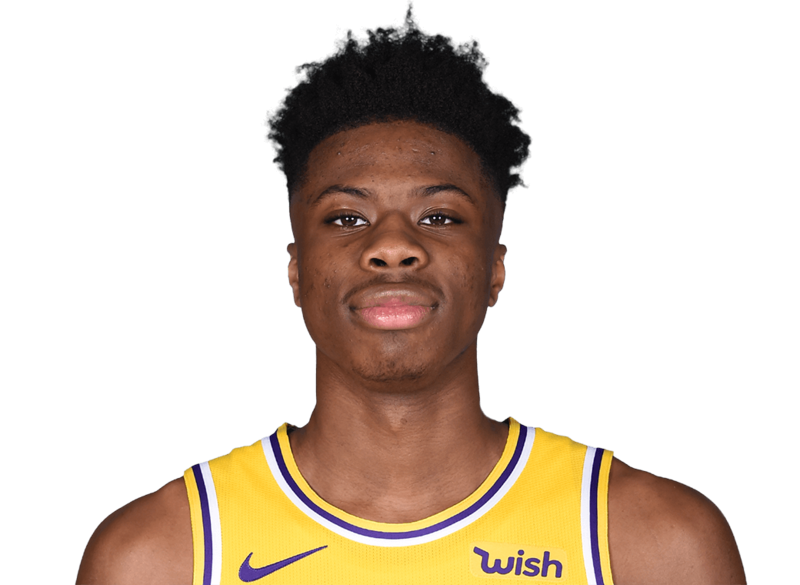 Caruso is now on the second year of his two-way deal with the Los Angeles Lakers organization. He averaged 19 points, 7.7 assists and 3.8 rebounds per game with South Bay last season en route to All-NBA G League Second Team honors. He also played in 37 games with the Los Angeles Lakers, posting 3.6 points and 2 assists per contest. Williams comes to the Los Angeles Lakers fresh off of back-to-back All-West Coast Conference First Team selections with Gonzaga during the 2016-17 and 2017-18 NCAA seasons. The rookie forward averaged a career-best 13.5 points and 8.6 rebounds per game on 56.5 percent shooting from the field during his junior and final season at Gonzaga. Williams offers an intriguing combination of length, athleticism and shooting. 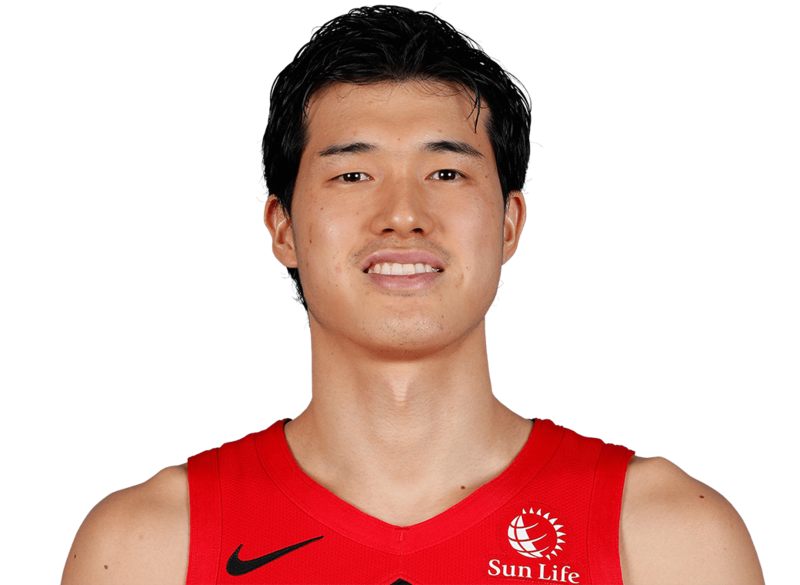 Watanabe became just the second Japanese-born player ever to play in an NBA regular season game, making his debut on October 27, 2018. Watanabe is a rookie and was the 2018 Atlantic 10 Defensive Player of the Year during his senior campaign with George Washington University, recording a collegiate-high 16.3 points, 6.1 rebounds and 1.6 blocks. Playing college basketball at UTEP, Washburn set program records, becoming first in total minutes (4,448), fourth in field goals (592) and sixth in scoring (1,526 points). While at UTEP, he earned three All-Defensive team honorable mentions and won Conference USA's Defensive Player of the Year Award as a senior. 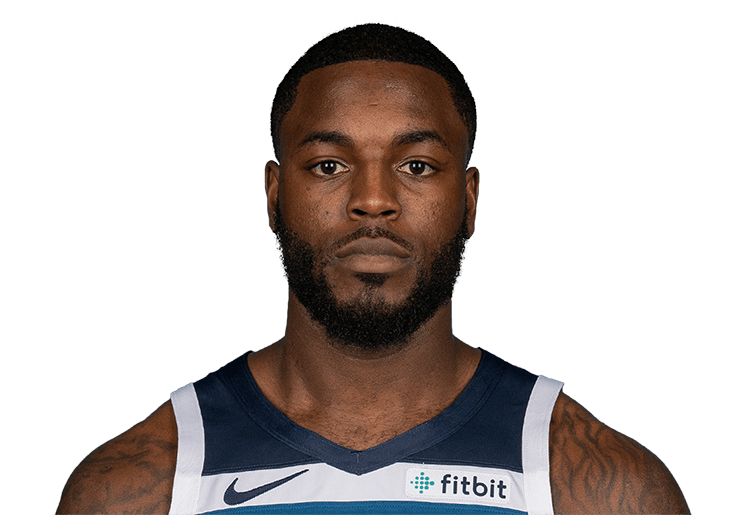 During his second season with the Austin Spurs this year, Washburn averaged 10.5 points and 4.7 rebounds in 23 games before earning a Gatorade Call-Up to the Memphis Grizzlies/Hustle. Robinson started his collegiate career at D-III Williams College before transferring to the University of Michigan, where he spent the final three years of his eligibility. The Wolverine-product shot 41.9 percent from beyond the arc during his career in Ann Arbor and is consistently deadly from long-range, adding immediate scoring to the perimeter. 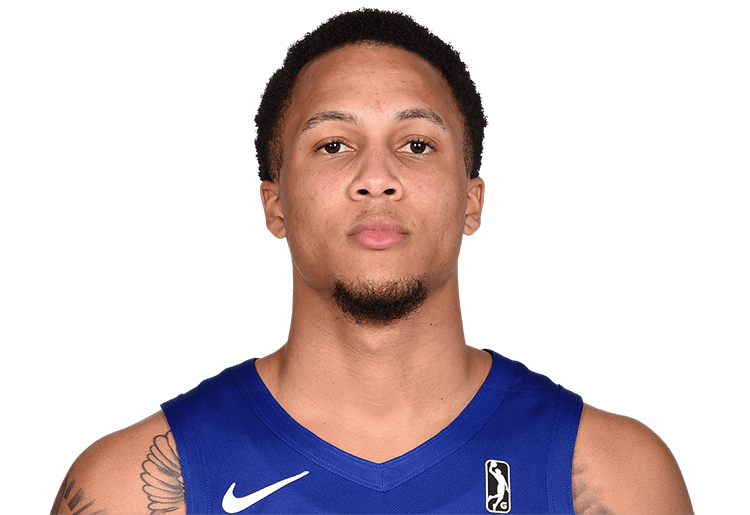 Robinson will develop in a Sioux Falls system that has produced NBA wings such as Tyler Johnson, Rodney McGruder and Okaro White. Maten comes to the Heat organization by way of the University of Georgia, where he spent four seasons with the Bulldogs, earning SEC Player of the Year honors in 2018 and All-SEC First Team honors in 2017 and 2018. The bruising power forward has a knack for dominating the paint, averaging 19.3 points and 8.6 rebounds per game during his senior season at UGA. 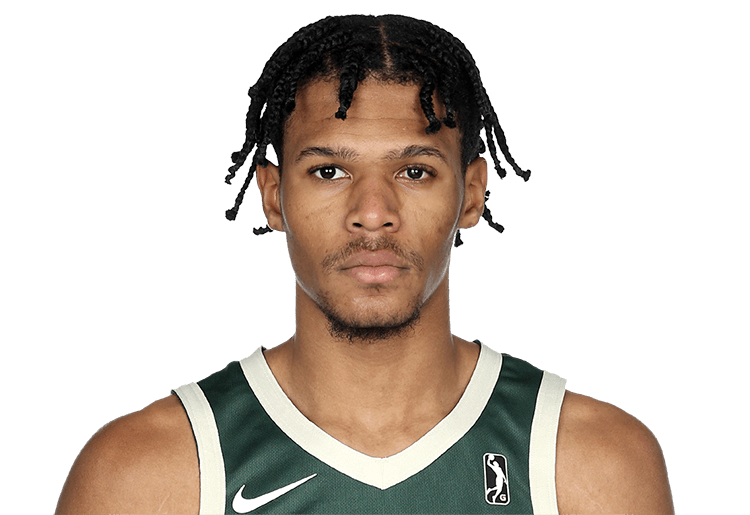 Duval spent one season at Duke before declaring for the 2018 NBA Draft, where he went undrafted before signing a two-way contract with the Milwaukee Bucks organization. The former McDonald’s All-American totaled 10.3 points, 5.6 assists and 1.5 steals per game for the Blue Devils last season. 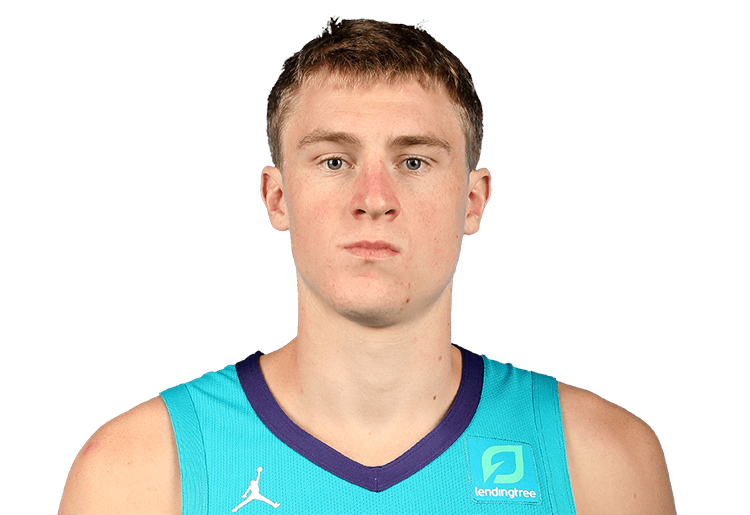 Duval played with the Houston Rockets during 2018 Las Vegas Summer League, notching 9.2 points per contest. Although he had to battle two foot injuries in less than a year during his senior season, Colson put together a tremendous collegiate career at Notre Dame. He was a Third-Team All-American in 2017, while being named the the All-ACC team during that junior season as well. 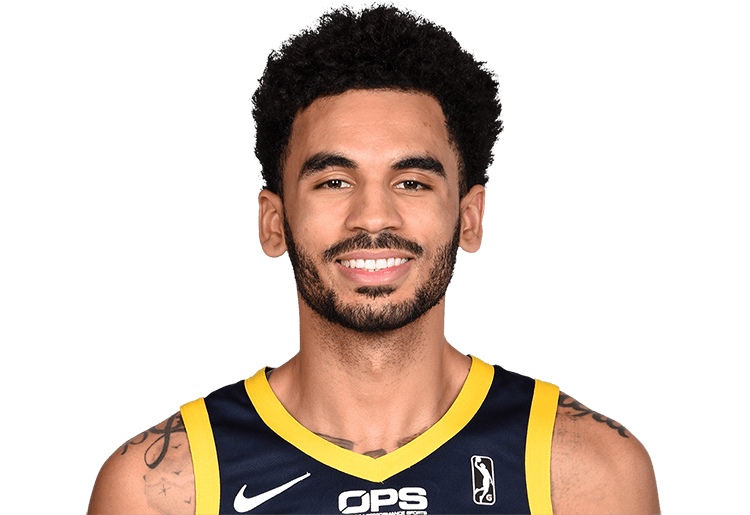 Colson started his professional career with the Canton Charge after going undrafted in the 2018 NBA Draft. 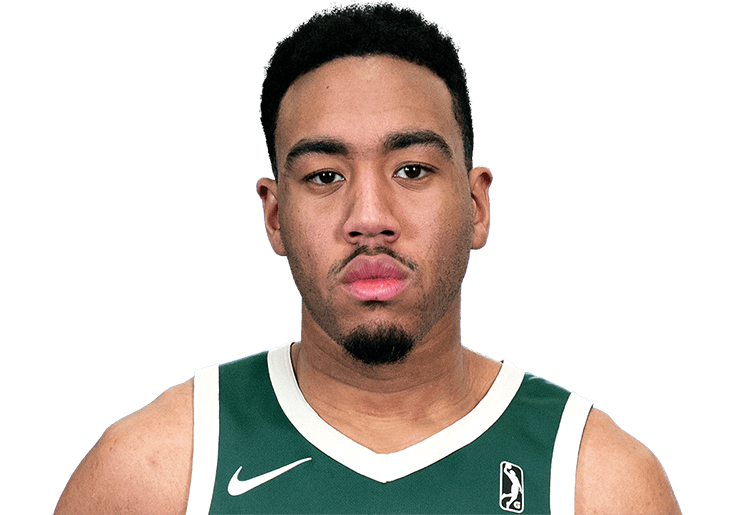 He averaged 15.5 points and 7.8 rebounds in 23 games with Canton before earning a Gatorade Call-Up to the Milwaukee Bucks. The Rhode Island product was selected to the All-Atlantic 10 First Team following a 2017-18 campaign in which he averaged a career-best 16.8 points and 3.5 rebounds per game on 41.4 percent shooting from beyond the arc. Terrell can certainly get a bucket and will add to the Wolves’ defensive prowess with his size and athleticism. A 3-and-D wing, Williams flashed his potential on a two-way deal with the Clippers last season, appearing in 38 NBA games. 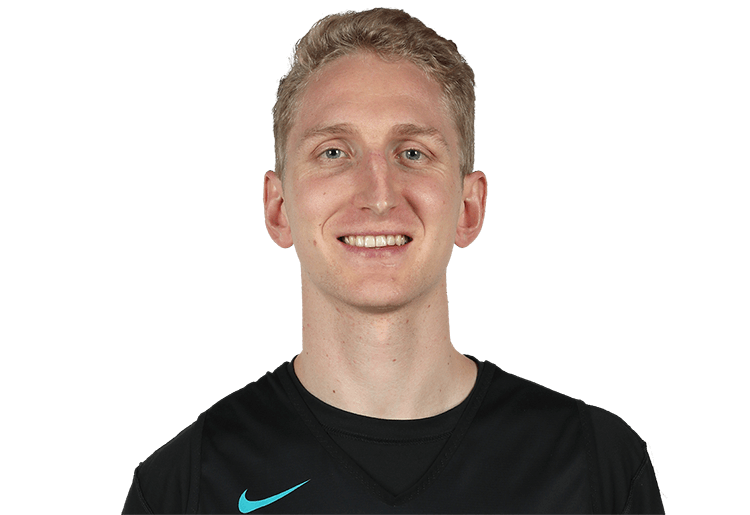 He joined the Wolves already with 115 NBA G League games under his belt over three seasons in which he shot 40% from three-point range. Bluiett comes to the New Orleans Pelicans organization after a storied career with Xavier University, one of just 5 players in Xavier history to score over 2,000 career points. Bluiett was a consensus Second Team All-American last season and was named to the All-Big East First Team following his sophomore, junior and senior seasons. 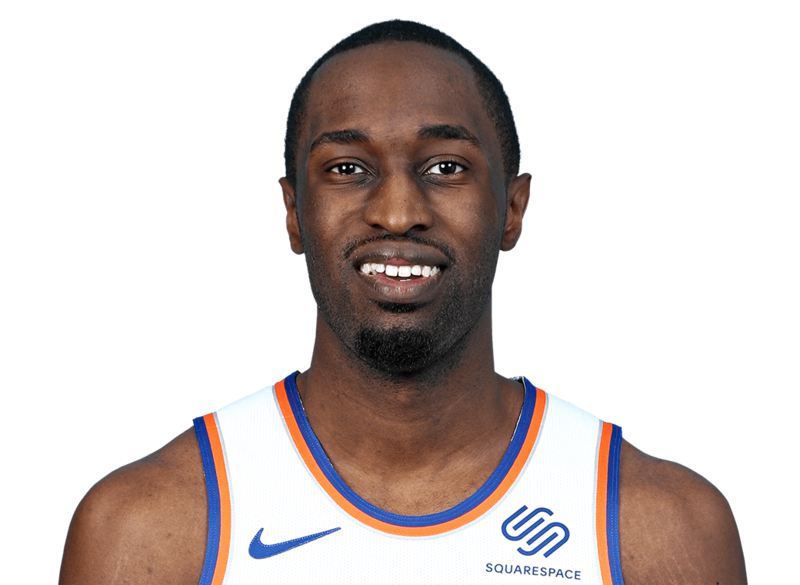 Back with the Knicks organization, the 2017 NCAA champion with the North Carolina Tar Heels spent most of his playing time in the NBA G League last season, posting 15.6 points and 7.8 rebounds per game on 57.7 percent shooting from the floor in 37 contests with Westchester. Hicks played 18 NBA games during the 2017-18 season, tallying 4.4 points and 2.3 rebounds per game. Previously drafted by the Boston Celtics in the second round of the 2017 NBA Draft, Allen joins the Knicks on a Two-Way Contract. 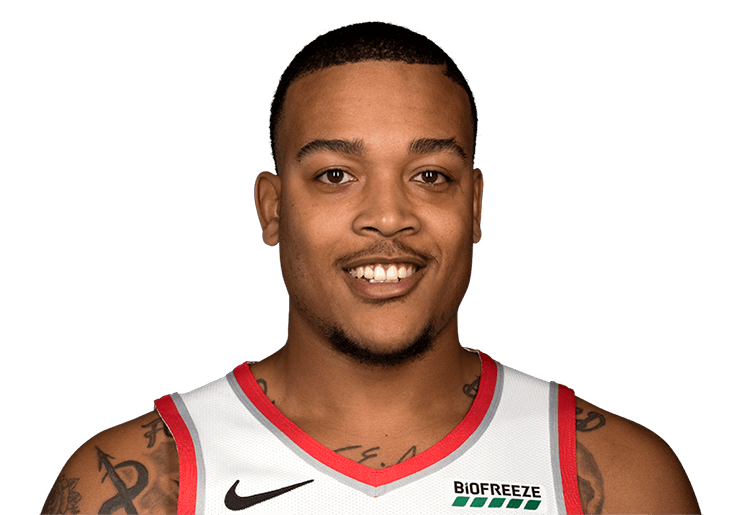 He earned 2018 All-NBA G League Defensive Team honors while with the Red Claws. Grantham comes to the Thunder following a collegiate career at Clemson, where he averaged 14.2 points and 6.9 rebounds as a senior. 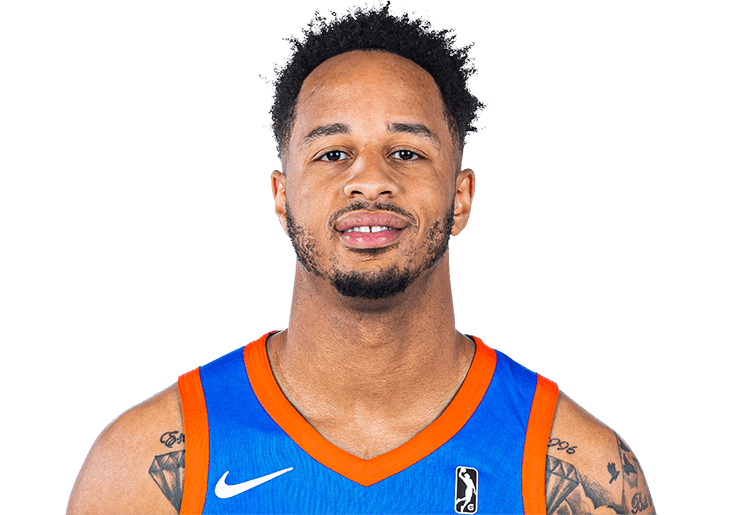 Caupain signed a two-way deal with the Orlando Magic organization after spending his entire rookie season with the Lakeland Magic, averaging 15.6 points, 7.5 rebounds, 5.8 assists and 1.4 steals per game in 50 contests. 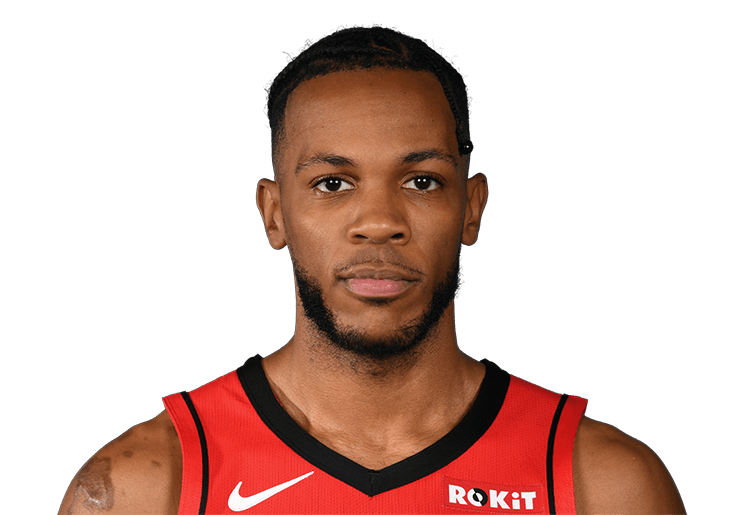 Caupain comes to the NBA/NBA G League after a memorable career at Cincinnati in which he earned All-AAC First Team honors in 2016 and All-AAC Second Team honors in 2017. 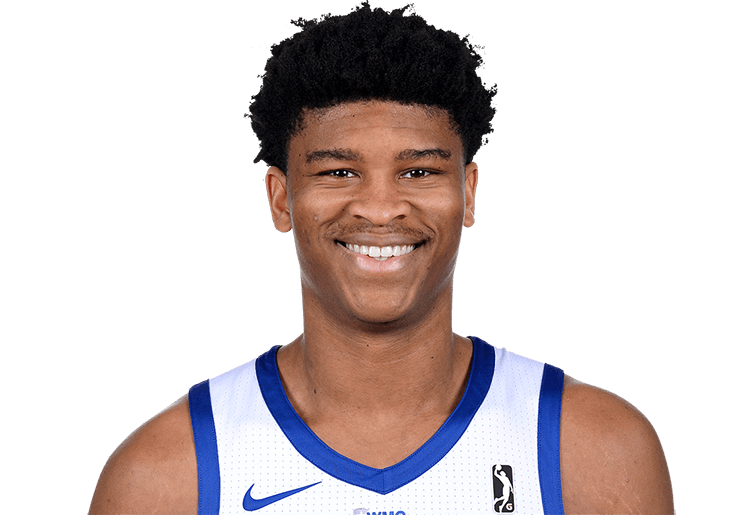 Jefferson signed a two-way deal with the Orland Magic organization after a successful 2017-18 NBA G League season in which he posted 17.8 points, 12.8 rebounds and 1.1 steals per game with the Iowa Wolves en route to All-NBA G League Second Team, NBA G League All-Rookie Team and NBA G League All-Defensive Team honors. Jefferson provides production across the board and won the 2015 NCAA title while with Duke during his collegiate career. Milton was named to the All-AAC Second Team in 2017 and 2018 with SMU before declaring for the 2018 NBA Draft and being selected by the Mavericks with the 54th overall pick before being traded to the Sixers. Milton broke out during his junior campaign with the Mustangs, posting career-highs in points (18 PPG), rebounds (4.7 RPG), steals (1.4 SPG) and 3-point percentage (43.4%). 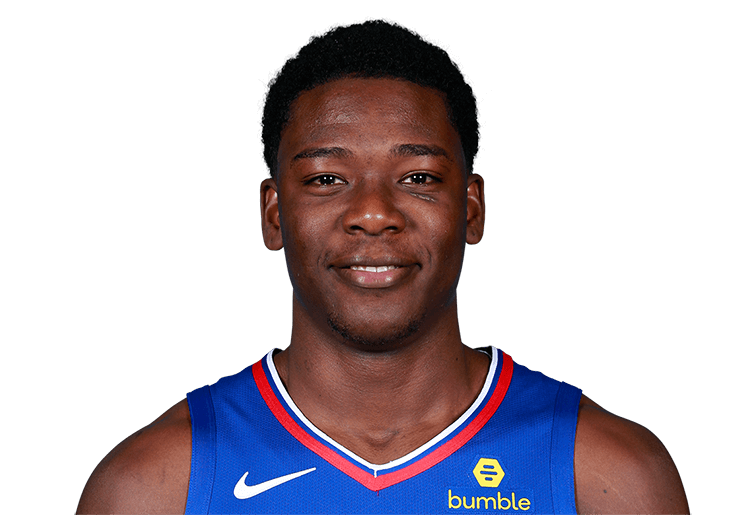 Haywood Highsmith is a two-way player with the Philadelphia 76ers and Delaware Blue Coats in his rookie season. 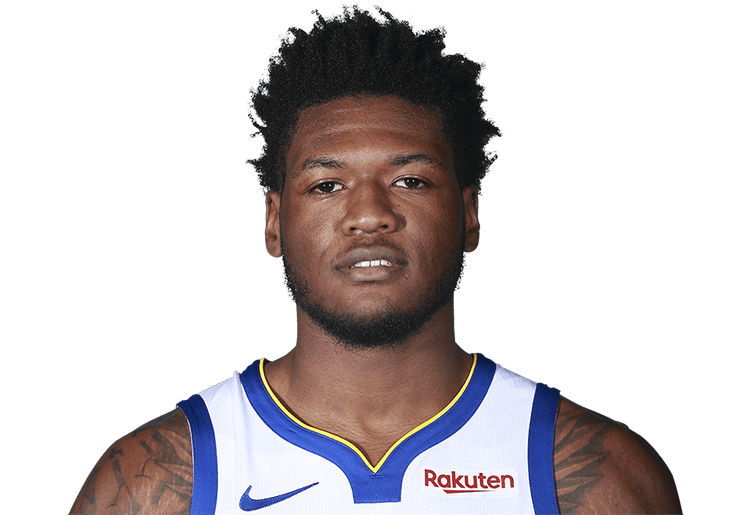 Highsmith played college basketball at Wheeling Jesuit University (D2) before going undrafted in the 2018 NBA Draft. 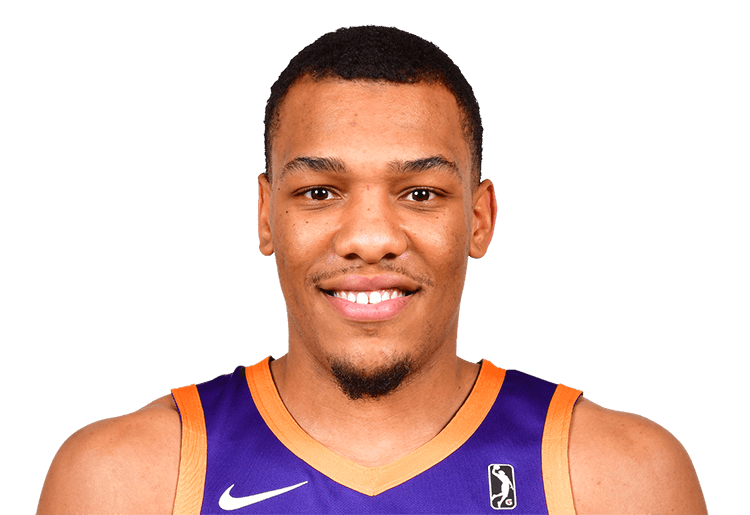 King will spend his rookie season with the Phoenix Suns organization on a two-way deal after being drafted 59th overall by the team in the 2018 NBA Draft after four collegiate seasons with the University of Colorado-Boulder. King was named the 2018 All-Pac 12 Second Team in 2018 after averaging 12.9 points and a career-high 7.8 rebounds per game. 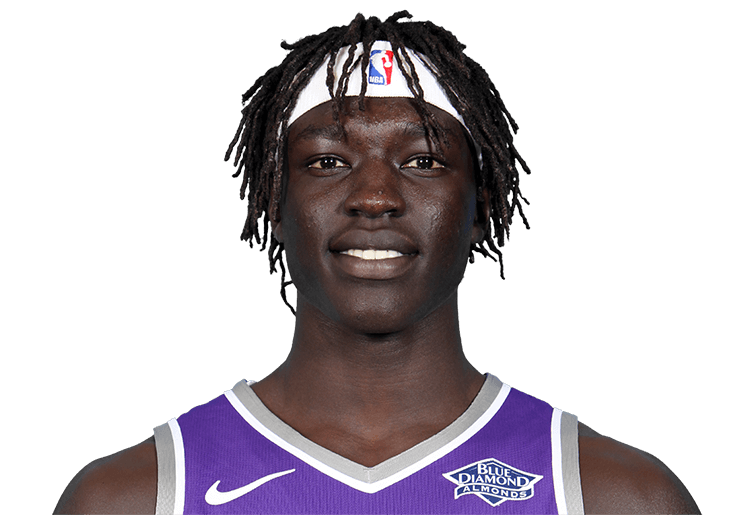 Gabriel spent two seasons at the University of Kentucky before declaring for the 2018 NBA Draft, where he went undrafted. Gabriel averaged a career-high 6.8 points and 5.4 rebounds per game during his sophomore campaign with the Wildcats. 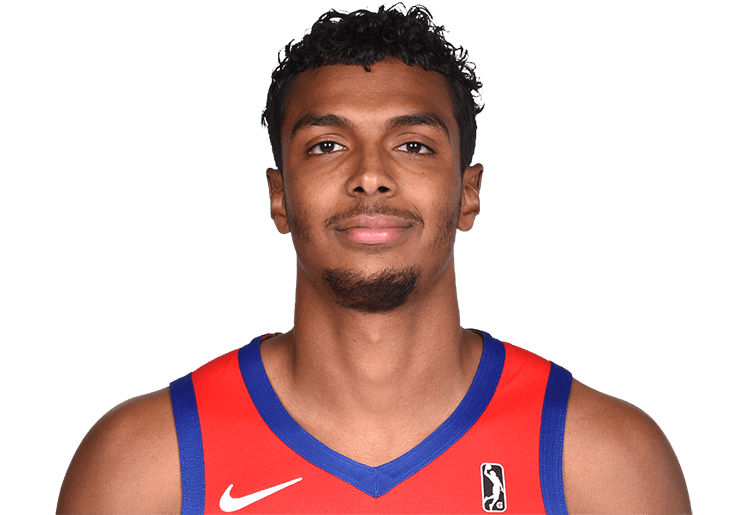 At 6’9”, 205-pounds, Gabriel presents an impressive wingspan and the length to make in impact in both the NBA and NBA G League his rookie season. 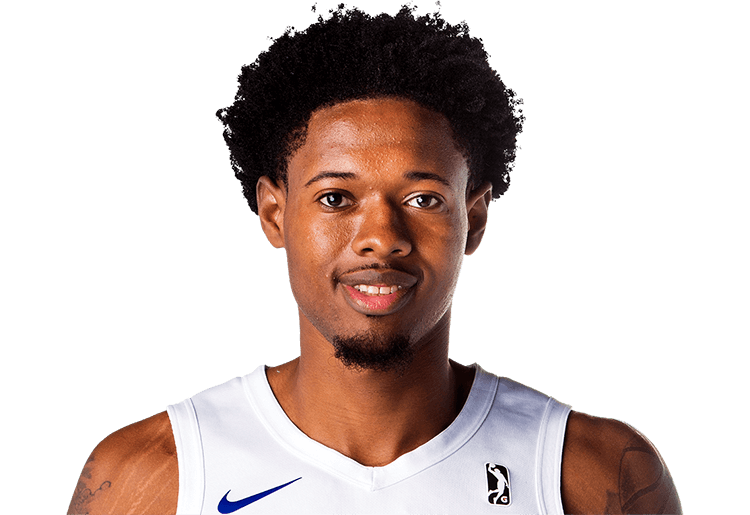 Williams made waves in the G League after taking home the 2017 NBA G League Slam Dunk Contest title while playing with the Iowa Energy (Wolves). 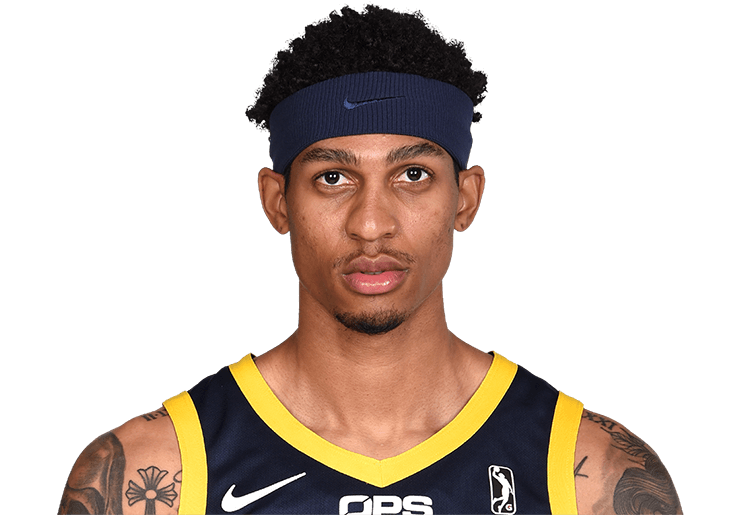 The third-year swingman out of Indiana has spent 51 games in the NBA and 52 games in the NBA G League headed into the 2018-19 season. 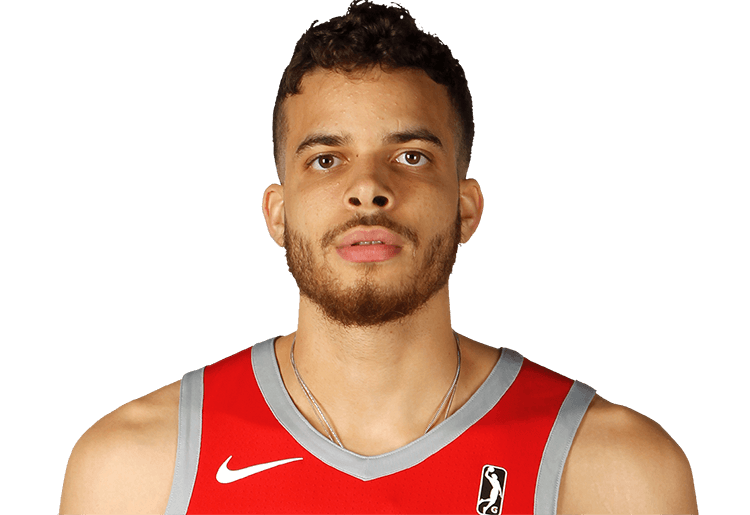 Williams posted 19.7 points, 6.1 rebounds and 1.9 steals per game during the 2017-18 season with the Rio Grande Valley Vipers. Moore played college ball at SMU. 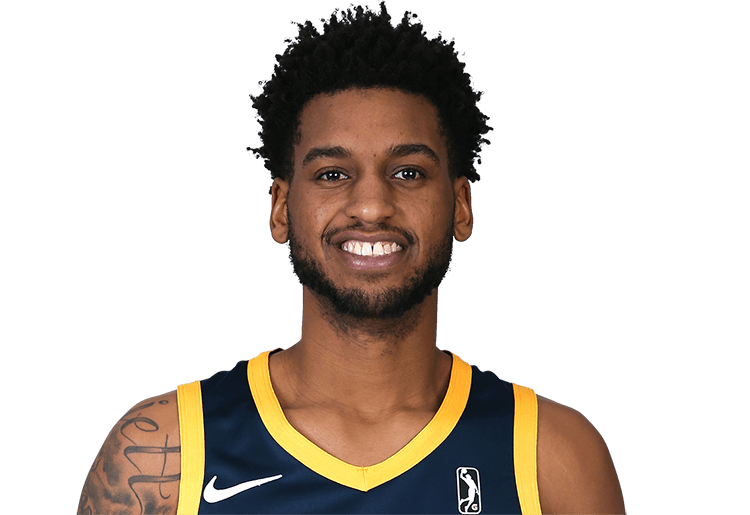 He started the 2017-18 season as an affiliate player with the Fort Wayne Mad Ants, before signing a Two-Way Contract with the Indiana Pacers on Jan. 12, 2018. 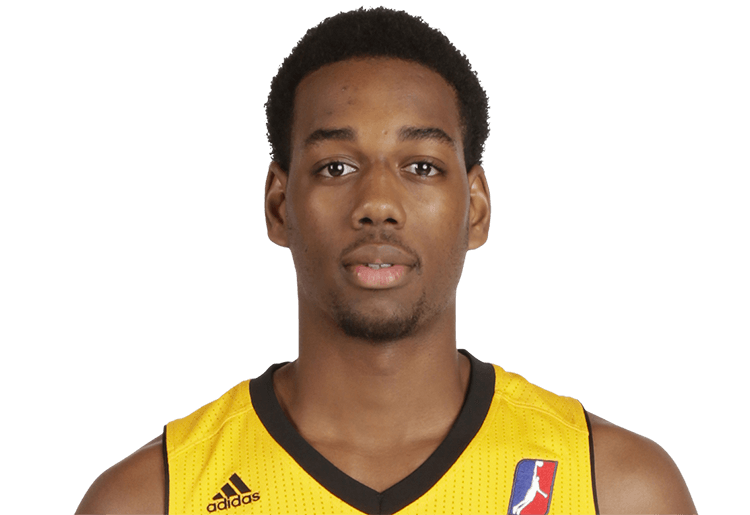 He re-signed with the Pacers during the following offseason, before being waived and re-joining the Mad Ants. 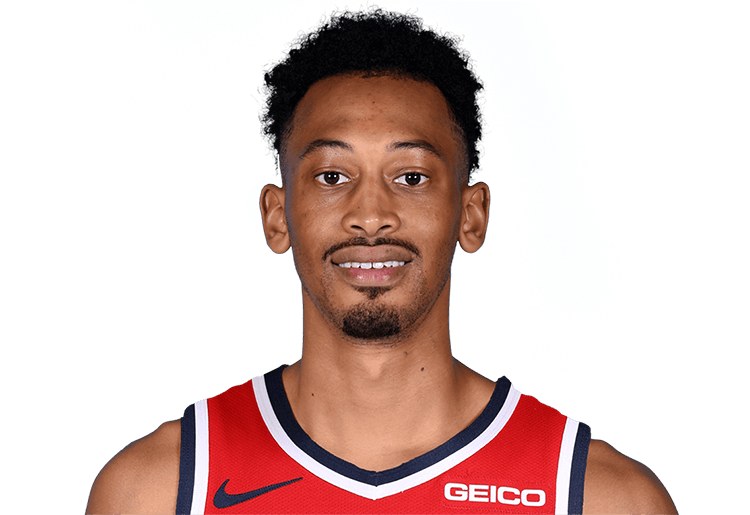 Moore earned a GATORADE Call-Up to the San Antonio Spurs on Nov. 20. Eubanks spent three seasons at Oregon State before declaring for the 2018 NBA Draft, where he would go undrafted. The Beavers-product finished his career as one of only two players in OSU history to record 1,000+ career points, 600+ rebounds and 150+ blocked shots. Eubanks finished 1st in the Pac 12 in field-goal percentage (62.4%) during the 2017-18 season and is ranked 5th in Pac 12 history in effective field goal percentage (59.8%). 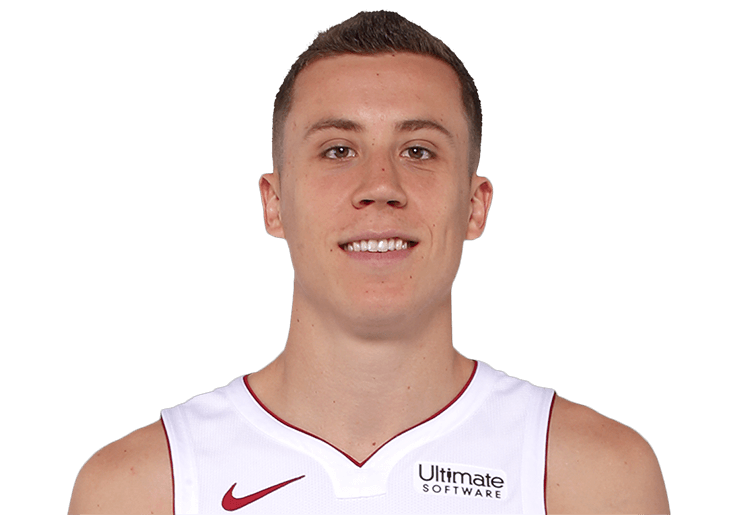 Loyd is the first player in University of Indianapolis (D-II) history to make it to the NBA. 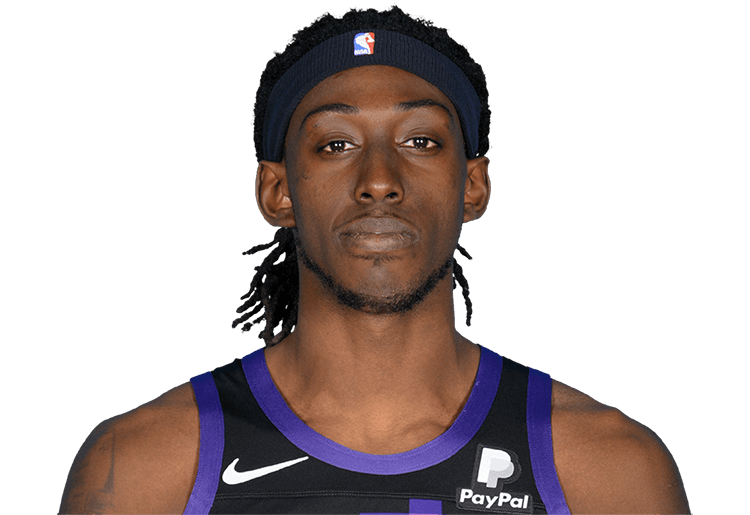 Loyd spent the 2017-18 season with Hapoel Eilat of the Israeli League, where he was named an all-star and a selection to the All-Israeli League Second Team. 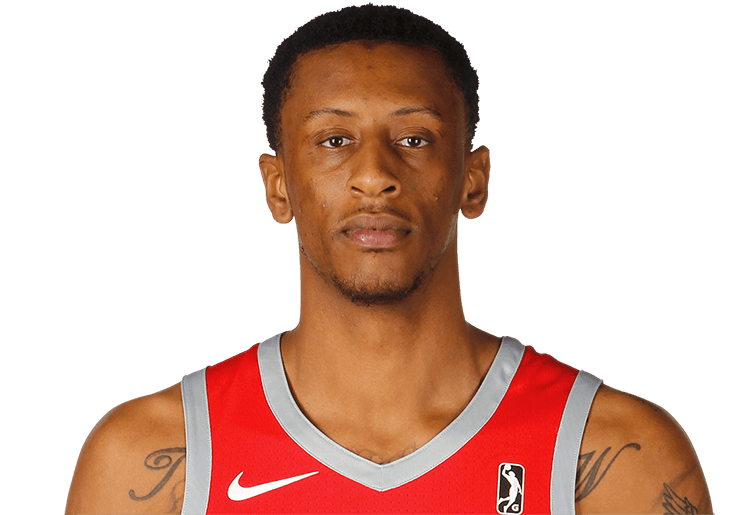 Loyd is no stranger to the NBA G League, where he spent 49 games with the Fort Wayne Mad Ants during the 2016-17 season, averaging 15.1 points, 4.2 rebounds and 4 assists per game. 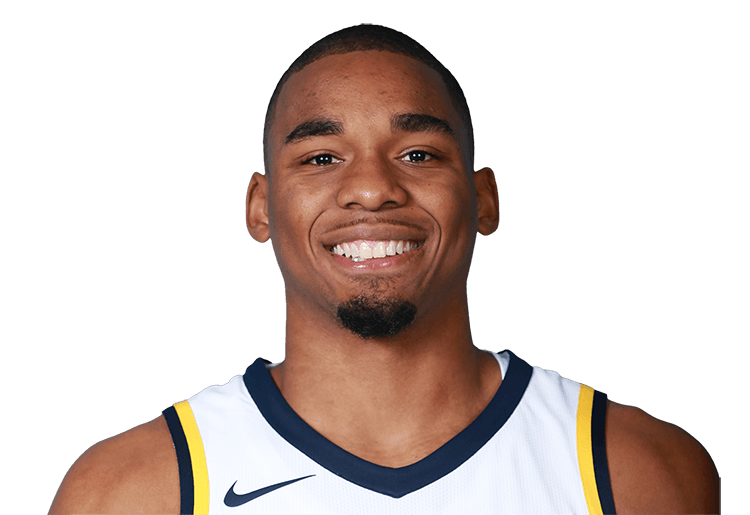 NML made his NBA debut during the 2017-18 season with the Utah Jazz, but spent most of his rookie season with the Salt Lake City Stars, where he averaged 18 points, 6.1 rebounds and 4.6 assists per game on 37.7 percent shooting from beyond the arc. The athletic floor general will help run an efficient Stars offense this season with goals of finding a permanent spot on the Jazz roster. 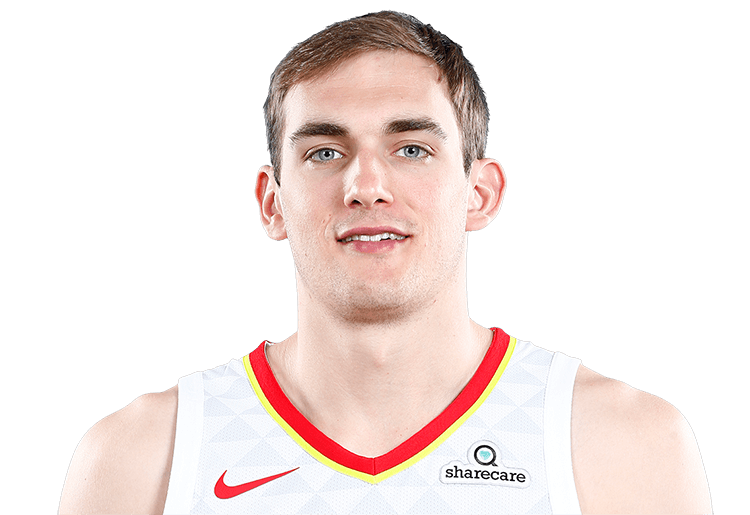 Cavanaugh split the 2017-18 season between the Atlanta Hawks and Erie BayHawks, spending 11 games in the NBA G League and 39 games in the NBA. The former two-time All-Atlantic 10 Second Team forward possesses the ability to spread the floor with an improved three-point shot and can crash the offensive glass with efficiency as well. 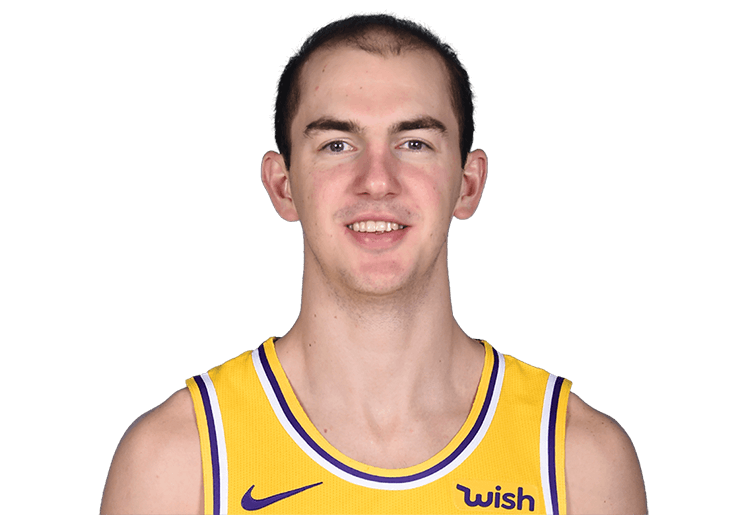 Cavanaugh posted 14.5 points and 7.3 rebounds per game in the NBA G League with the BayHawks during his 2017-18 rookie campaign. 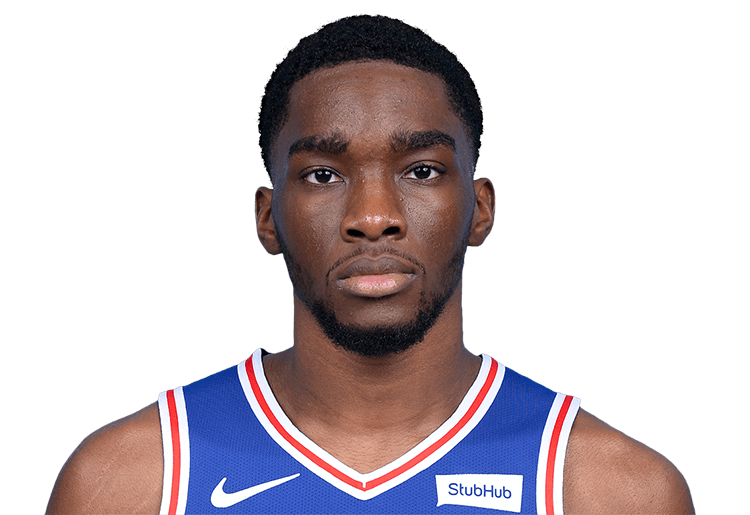 Robinson split his rookie season in the NBA G League with the Delaware 87ers (Blue Coats) and Westchester Knicks, recording 13 points, 5.1 rebounds and 1.5 assists per game on 50.1 percent shooting from the field. The long, versatile and uber-athletic forward out of the University of Florida will give the Go-Go a boost in their inaugural season following a standout Summer League (19.8 PPG). 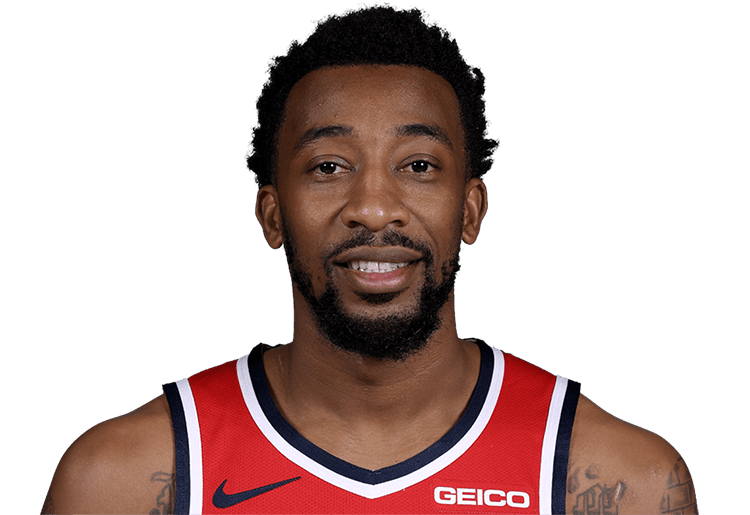 McRae spent the 2017-18 season overseas, but has played 62 games in the Association, split between the Toronto Raptors, Phoenix Suns, Cleveland Cavaliers and Washington Wizards between 2015 and 2018. 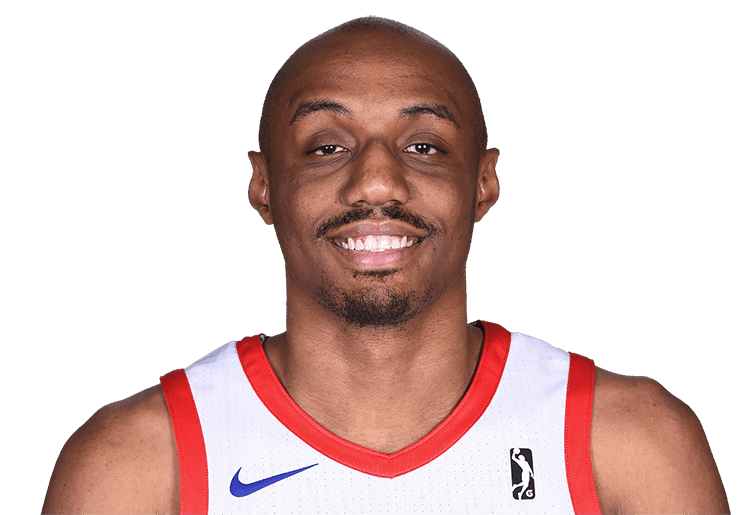 McRae was an NBA G League All-Star in 2016 with the Delaware 87ers (Blue Coats) and has averaged 21.8 points, 4.8 assists and 4.4 rebounds per game in 42 NBA G League contests with Delaware.